We’re away in Slovenia for a couple of weeks, and we’ll definitely be writing in detail about it upon our return, but for now I thought I’d simply post a photo each day. 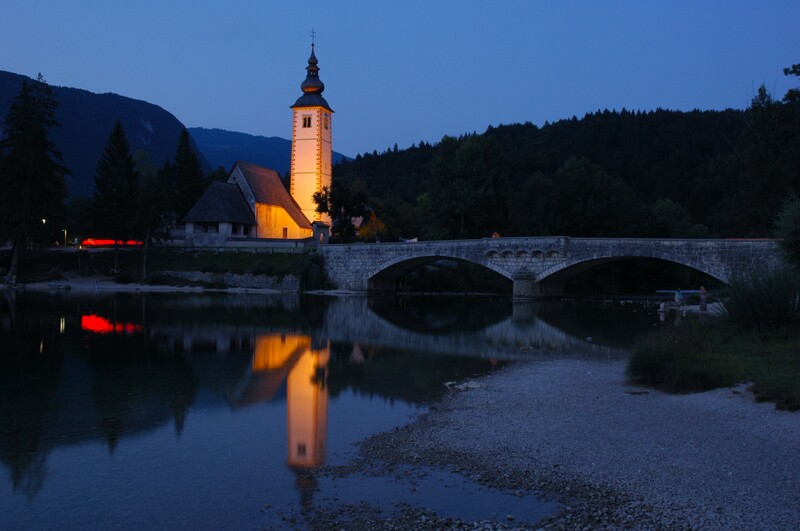 This is the Church of St. John the Baptist, set on the Sava River as it flows out of Lake Bohinj in the village of Ribčev Laz. Constructed in the middle of the 11th century, it’s adorned inside and out with frescoes dating from the 14th to 16th centuries. With any luck tomorrow’s photo will be of D and his dad holding fish. Big fish. This is a truly gorgeous photo! Thank you. Thanks, brissimaz. It’s a gorgeous place!